Nantucket Island is broken down into a number of individual watersheds. A watershed is an area of land that is up gradient of a water resource area. Rain water, irrigation water, and septic system runoff percolates through the sandy soil to the groundwater which will ultimately flow to a final down gradient water body. Wetland systems such as smaller ponds and vegetated wet meadows will also receive water from the upgradient source and depending on its location in the watershed will then in turn be a source for the down gradient water body such as an estuary or a harbor. Which Watershed Do You Live In? Land owners need to be extremely careful about their fertilizer applications, septic systems and other land uses in order to limit the amount of pollution entering the groundwater. The map below delineates Nantucket’s watersheds. Learn more about the watershed where you live by clicking on the area in which you reside. Capaum and Washing Ponds are small waterbodies at 20 acres and 8 acres respectively. The Capaum Pond watershed is approximately 82 acres and the Washing Pond watershed only 32 acres. Recreational use of the ponds is negligible due to their small size and restricted access. Land use within these watersheds that may impact the ponds includes residential development, septic systems, and fertilizer use. 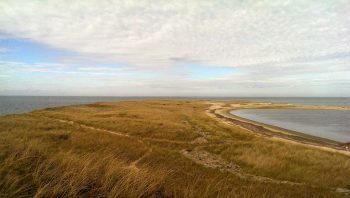 Hither Creek is a semi-confined body of water opening to Madaket Harbor and connected to Long Pond via the Madaket Ditch. 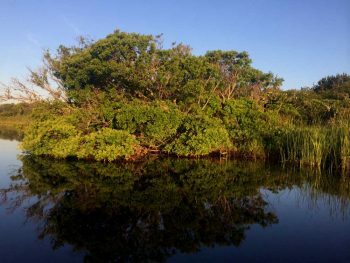 Hither Creek is 40 acres with a surrounding watershed of approximately 419 acres, while the adjacent Madaket Harbor watershed is much larger. The Creek is tidally influenced, but its long and narrow configuration limits circulation and flushing. During the summer a high density of boats moor in the Creek with a commercial boatyard and small residential lots abutting its shores. A shallow depth to ground water surrounding the Creek increases the potential of salt water intrusion to nearby drinking wells as well as increases the potential for pollutants from septic systems and fertilizer reaching the Creek. Hummock Pond extends from the south shore northward to the interior of the island. 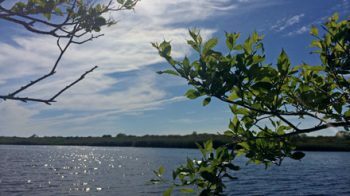 Extensive conservation land abuts the shorelines of Hummock Pond and Clark’s Cove. Land uses in other areas of the watershed include residential homes, septic systems, drinking water wells, food crops, and horse pastures. 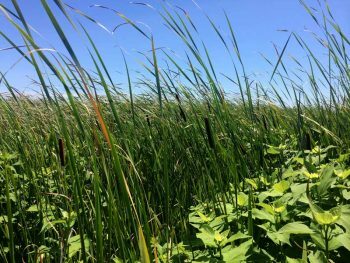 The area of the pond is 200 acres while the surrounding watershed is roughly twelve times larger at 2,600 acres. This provides a tremendous volume of fresh water to recharge the pond. Each spring and fall the town opens the southern end of the pond to the ocean. This allows for an exchange of fresh water for salt water resulting in brackish conditions in the southern end of the pond It flushes nutrients out of the pond and temporarily lowers the level of the pond to allow for the passage of anadromous fish. Once the barrier beach rebuilds and closes the pond to the ocean, it refills quickly with fresh water from the watershed’s uplands. Long Pond stretched from the southwest shoreline almost to the north shore of the island. It is connected to Hither Creek via the Madaket Ditch. Long Pond is surrounded by a number of closely settled residential lots with septic systems and private wells, and the town Landfill is located on the eastern shore. Long Pond is 132 acres with a watershed of approximately 1,620 acres. A significant amount of conservation land surrounds the Pond, buffering some of the potential land use impacts. Miacomet Pond is a 37 acre water body, while its surrounding watershed is 26 times larger than the pond itself at approximately 1,009 acres. A tremendous volume of groundwater, stream flow, and surface runoff floods the pond to excessive levels during seasons of high precipitation. The water level rises into yards, basements, and roads that have been constructed within the flood zone. This is one of the more heavily developed watersheds. Land uses include residential homes (many still served by private septic systems), commercial uses, a gravel pit, Miacomet Golf Course, and a portion of Wannacomet Water Company’s public wellfield recharge area. Intensive family swimming and beach activity occurs during the summer. The level of developed land use, recreational activity, and water withdrawal within the watershed poses multiple variables for determining pond management strategies. Nantucket Harbor’s watershed encompasses the island’s northeast quadrant. 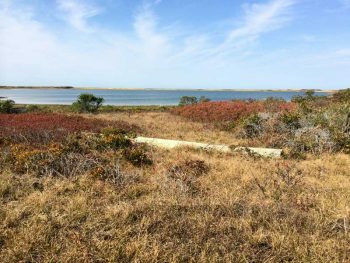 It is semi-enclosed with a channel connection to Nantucket Sound. Circulation and flushing is limited in the upper harbor and in Polpis Harbor. The watershed’s west end is heavily developed commercially and residentially, serviced by public water and public sewer. In the center and east end, land uses include residential homes with mixed sewer and individual septic systems, wells, highly maintained landscapes, and conservation land. Water uses include swimming, fishing, boating, and shore-side services to support those industries. Nantucket Harbor’s federally designated No Discharge Zone prohibits boat sewage from being discharged into the harbor. Direct discharge of storm drain runoff still occurs and carries sediment and pollutants that contribute to the degradation of harbor water quality and shellfish habitat. Portions of the island not included in other watersheds are areas which contribute to the greater ocean watershed. 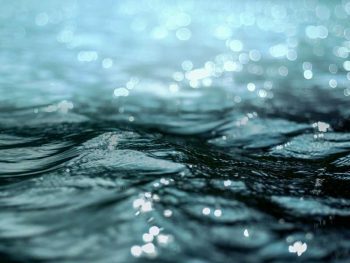 This simply means that ground water and surface flow discharge directly to the ocean rather than first passing through a pond or harbor. A mix of residential land use and conservation lands are scattered throughout the ocean watershed. The Surfside Wastewater Treatment Facility, Siasconset sewer beds, and the airport are all industrial land uses discharging directly to the ocean. 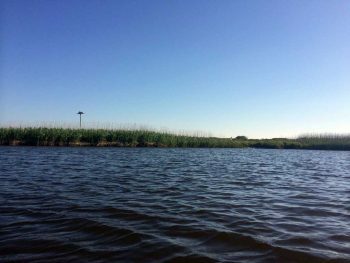 Sesachacha Pond is opened to the ocean each spring and fall for anadromous fish populations, and to allow an exchange of water. Undeveloped grassland is the dominant land type with small residential areas that use individual septic systems. Tom Nevers Pond is located southeast of Tom Nevers Road. It is connected to Gibbs Pond by Phillips Run through a series of wetlands. The watershed contains undisturbed wetland and upland areas, managed golf course, residential development on septic systems, and agriculture. Most of the extensive wetland system is an actively managed commercial cranberry bog. The watershed recharge area is close to 100 times larger than the pond itself. Nutrient loading and pesticide runoff are pollutant risks to Tom Nevers Pond.